3 – I’m never going to be convinced that they had to do what they did or feel confident that I paid a fair price for the work. But I know I’m not alone. 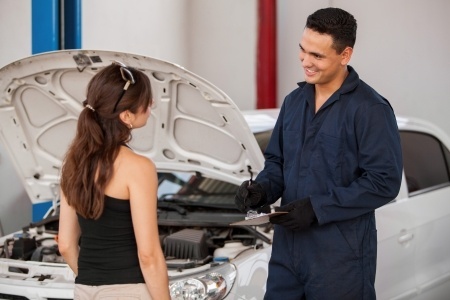 In a recent RAC survey 60% of motorists had a bad experience when taking their car for a repair, service or MOT. The survey found 38% said their garage didn’t fix the problem and 36% felt overcharged. Also, 24% said they worried about hidden costs when booking their car in for work such as a service or MOT. So how could garages deal with these concerns? Service and transparency are key markers for customer satisfaction. How do they make the complex world of mechanics simple to explain? How do they justify the time and charges without using long lists of technical terms? Well a recent trip to my local garage revealed one potential cunning solution. When my car was in for repairs I had an email from the garage. They had “completed a vehicle health check on my vehicle” and sent me a link to a video. The video is great. The engineer explains what they found (instead of the 2nd hand presentation of a tick list). I didn’t need to understand any technical jargon either. A great example of using technology to find innovative solutions to customer concerns.